Project for Life Fitness equipment. Life Fitness wanted clients to be able to see every possible color combination of their equipment for custom orders. 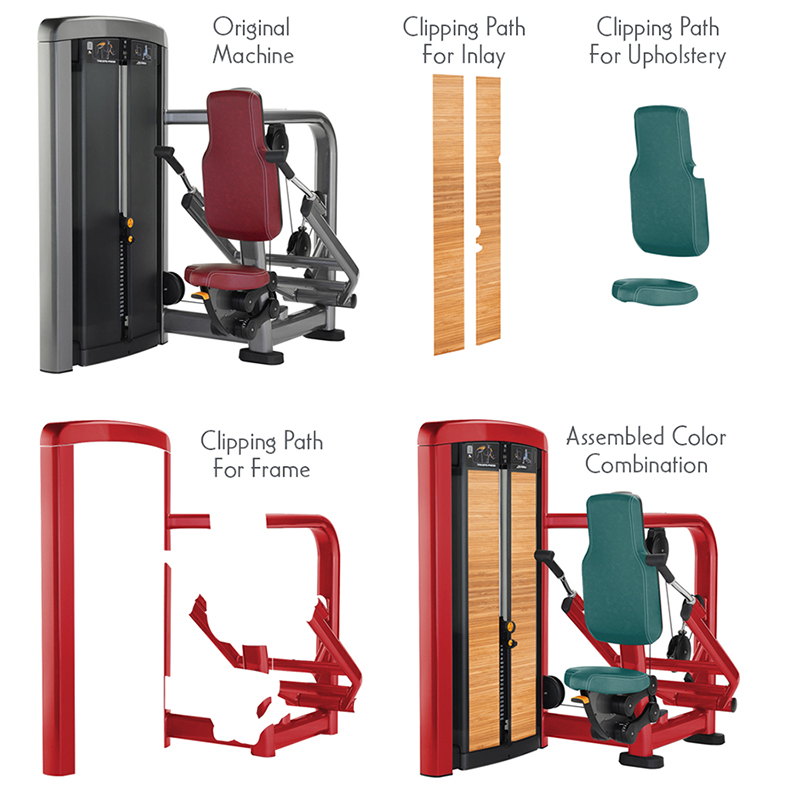 Clients can go to the Life Fitness web site, click on their choice of machine and apply the colors to the frame(s) and upholstery to see the fully assembled combination of colors. My job was to create clipping paths and apply colors and textures so they looked realistic. For machines with two frames, I had to assess the machine and determine which was Frame 1 and which was Frame 2. From there I would create the clipping paths and apply the colors. Above: Samples of all the frames after the colors have been applied. The upholstery went through a similar process with the addition of adding texture for a realistic look of textile. Below: Another sample of a color combination of a completed machine. Above is an example of a machine with 2 frames. In addition, one of the original frames is dark. The frame had to be lightened and any graininess brushed out before the other frame colors could be applied.